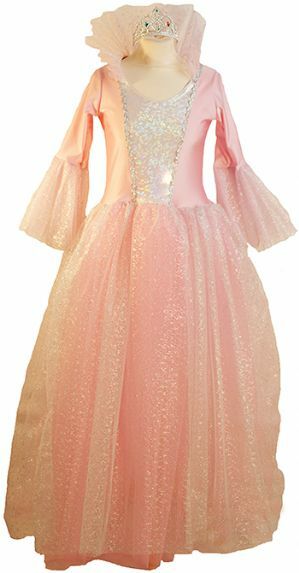 Pink Fairy Godmother plus size fancy dress costume from a Real Plus 18-40 these costumes are made to order, please allow 7 days min. for delivery - if needed urgently please phone first. .
Fairy Godmother costume includes a stretch fabric bodice decorated with a front panel of dazzling ice chip fabric. The bodice is attached to a twinkle net full skirt. Long sleeves are finished with the same net. The stand up collar is separate and fastens round the neck rather than attached as shown in the picture Also included is the silver tiara.